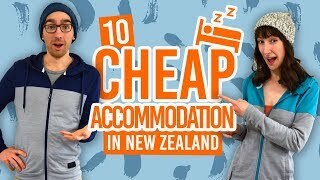 Christmas ideas for backpackers in New Zealand. On the 12th Day of Christmas in New Zealand my true love sent to me, 12 surfers surfing… Celebrate Christmas a little differently this year. Like many of us, you might be used to Christmas at home with the same old family doing the same old thing… Boring! But being a backpacker in New Zealand at Christmas is a refreshing way to spend the festive season. Enough with the stereotypical cold Christmas! 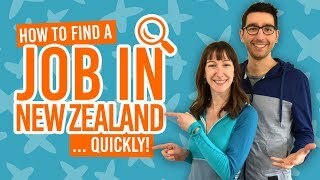 It’s summertime, so spend your day like a Kiwi down by the beach, or make it a true backpacker Christmas by staying in a hostel, spreading good will by volunteering, or working for extra coin! And for more festive fun, check out the The Backpacker 12 Days of Christmas. 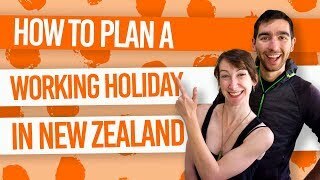 What do backpackers do for Christmas in New Zealand? New Zealand follows similar Christmas traditions as the UK and the commonwealth, involving Christmas trees, decorations, stockings, gifts, carols, etc. It mixes these traditions with summertime activities like BBQs, going to the beach, and enjoying the great outdoors. So while you are backpacking at Christmas, you can follow the traditional Kiwi Christmas. Although Christmas is very family-orientated in New Zealand, you can follow the traditions listed below with your flatmates and backpacker buddies. Wrapped in festive paper, gifts are placed under a Christmas tree and opened on Christmas Day morning. There are two types of Christmas tree in New Zealand. One is a pine tree, usually artificial, to decorate inside the house. The other tree is the pohutukawa tree, which blossoms with red flowers around Christmas time. They are mostly found in coastal areas of the North Island. Christmas is a 3-day event. Christmas Eve (24-December), involves some New Zealand families to go to Midnight Mass at church. Christmas Day (25-December), is when presents are opened and families enjoy Christmas dinner together. Boxing Day (26-December) is an extension of the time spent with family or going to some mad Boxing Day sales! The food enjoyed on Christmas day differs from family to family. Some like a traditional roast like roast ham, veggies, potatoes and gravy. For dessert, it could be steamed Christmas pudding, “Christmas Cake” (fruit cake) or mince pies. Other families enjoy a lighter meal, obviously because it is summer, such as a BBQ, salads and pavlova for dessert. The latter option is usually enjoyed outdoors at the beach or in the garden. Having a Christmas BBQ on the beach not only keeps to Kiwi traditions, but the photos are bound to make your Facebook friends jealous – our life goal, right? While some New Zealand beaches has coin operated barbecues, you may need to take your own disposable barbecue or get creative. Whatever you do at the beach on Christmas Day, whether it’s surf or sunbathe, make sure you have your Santa hat with you. For some awesome beaches to head to this Christmas, check out 22 Stunning Beaches in New Zealand. There’s no more authentic way to see a New Zealand Christmas, except if you are, indeed, a Kiwi. Christmas with WWOOFing hosts is a way to be involved in the New Zealand family Christmas! WWOOFing is working usually for about 3 to 4 hours, five days a week, in exchange for food and accommodation. Although traditionally, WWOOFing was just for families with farms, now there are all kinds of hosts looking for backpackers to help with tasks for a cultural exchange. For more information, take a look at Everything You Need to Know About WWOOFing in New Zealand. If you are in full backpacker mode during the Christmas period, then don’t fret – hostels celebrate Christmas too! Some hostels will put on a Christmas dinner or BBQ to bring everyone together. It’s a good excuse to socialise and make new friends for Christmas. There’s no better present than friendship! If that last comment made you die inside, then perhaps this last reason to stay in a hostel for Christmas will make up for it: most backpacker hostels provide guests with cheaper dorm rates over Christmas. Success! Learn more about the hostel experience in How to Live in a Hostel. Because Christmas means summertime in the Southern Hemisphere, some families like to go on holiday to find a place in the sun, or go to their summer bach (holiday house) in New Zealand. As a backpacker in New Zealand, everywhere is your “bach”, so you have that covered. But if you are looking to get sizzled on a holiday within your working holiday, see our 6 Tropical Paradises to Visit While You are in New Zealand. If you don’t want to go as far as Fiji, (or spend as much money), consider taking a trip to one of New Zealand’s islands like Waiheke Island or Stewart Island. The change of pace there will still make it feel like a holiday. If you are more of a practical traveller, then consider working during the Christmas period. With no family obligations, you are free as a bird. What’s more, it’s likely that you will be paid double during the public holidays like Christmas Eve, Christmas day and Boxing Day. Employers in retail and hospitality look for temporary staff to help out with the busy Christmas period. This will most likely mean working Christmas Eve and Boxing Day, and maybe even Christmas Day. Some functions that take place on Christmas Day may need waiting staff on the day. For tips on how to get a job quickly, take a look at this guide. Plus, browse our job listings for any job openings during the Christmas period. After all, Christmas is about good will! In cities, especially Auckland and Christchurch, you are able to volunteer for City Mission, providing free Christmas lunches to those who have nowhere else to go. Charities and organisations looking for volunteers like to prepared early so don’t leaving applying to volunteer until Christmas Eve. Keep an eye out for different projects every year. You can find volunteering opportunities at your nearest Volunteer Centre and if you need more convincing, here are 10 Reasons to Volunteer During Your Gap Year. Volunteer opportunities are also listed in our Job Listings so be sure to check that out. What festivities can you take part in leading up to Christmas. In Auckland, see the famous puppetry window display at Smith and Caughey store on Queen Street every year! If you are working during the Christmas period, your workmates are likely to have a Christmas party!